The grunge explosion of the early 90’s was both a blessing and a curse for a lot of bands. You see, the scene blew up so fast with the unexpected success of Nirvana, Pearl Jam and Soundgarden among others, that major record labels were scrambling to find the next big thing. So if you were loud, abrasive and had a little bit of attitude, chances are you had a good chance of being courted by the music industry’s big wigs. Now keep in mind…this was a few years before the internet would become an aspiring band’s best friend by way of My Space, Bandcamp, Reverbnation and the like. So back in those days, if you were a starving musician and a major label came calling…you listened to what they had to say because it could be the only chance you’d have of getting your music to the masses. The problem with flirting with a major label in those days (and probably still today), was that they typically employed the scattershot strategy of signing as many bands as possible with hopes that one in the crowd would hit the big payday. If your first album tanked in the sales department, you probably weren’t going to get a second. Such was the case with Core. The New Jersey based band, which was comprised of Finn Ryan on vocals and guitar, Carmine Pernini on bass and Tim Ryan on drums, came storming onto the scene back in 1996 with their debut album Revival, which was released by industry giant Atlantic Records in hopes that they’d found the next angst driven, spokesmen for the Lollapalooza generation. What the label didn’t realize is that they’d actually stumbled onto a trio who had more in common with the hippy culture of the 60’s and 70’s than with the Gen-X market they intended to target. Core played a stunning blend of stoner/doom/desert rock with a healthy dose (pun fully intended) of trippy psychedelia thrown into the mix. 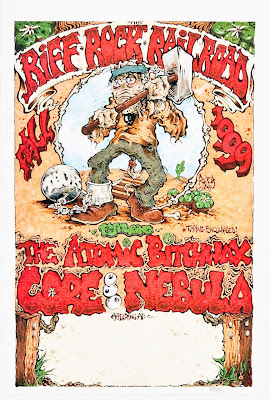 Listening to Core was like listening to a modern version of Black Sabbath, Blue Cheer and Hawkwind all mixed into one. Revival was (and still is in my opinion) an absolute staple for the stoner rock genre. Produced by the legendary Billy Anderson (High on Fire, Cathedral, Melvins), the album is full of fuzzed out guitars, huge drums, tripped out vocals and more groove than James Brown on crack (well maybe not quite that much). In fact, back in the day, the band self described themselves as “heavy soul” and said “if Jerry Garcia played in Black Sabbath, you’d capture our live shows”. Just listen to songs like “Way Down”, “Cleargod” and “Sawdust” and tell me they don’t sound as relevant as anything being put out by the genre’s heavyweights today. 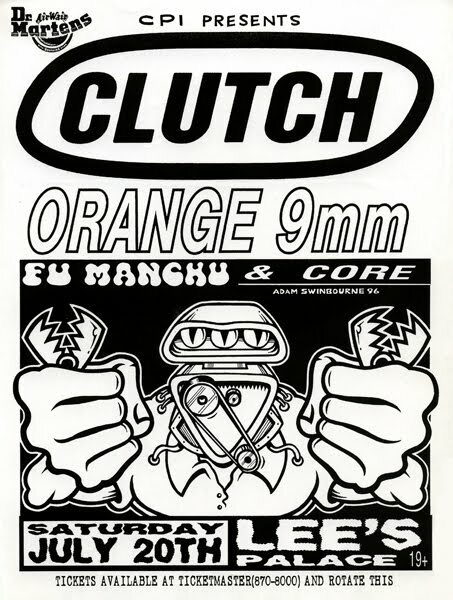 The album led to an opening slot on the amazing Clutch/Fu Manchu/Orange 9MM tour in 1996 (which I had the privilege to witness in all its glory). But due to poor sales compared with the lofty expectations of Atlantic, Core would not be invited back for another album with the label. Instead, the band went the route of an indie label, this time signing with the more stoner friendly Tee Pee Records. The resulting album The Hustle Is On was released in 1999 and it was equally as impressive as the debut, adding more psychedelic elements into the mix, putting an emphasis on instrumental jams with fewer vocals and ultimately honing Core’s “heavy soul” sound. 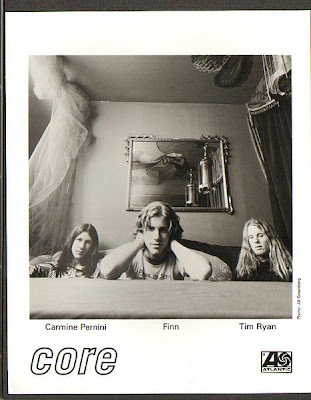 The band took the album on the road as part of the Riff Rock Railroad tour alongside The Atomic Bitchwax (who Finn Ryan would later join) and Nebula, which would unfortunately be their last time in the spotlight as they would not release another album and ultimately put down their instruments in 2000. Aside from their two full length albums, you can hear contributions from Core on a couple of compilation albums. They were featured on the 1997 Welcome to Meteor City album by MeteorCity Records with the song “Vacuum Lite”. They also show up on the 2000 compilation Right in the Nuts, which was a tribute album put out by Small Stone Records featuring stoner rock bands playing Aerosmith covers. Core appropriately did “Soul Shaker”, which was actually a cover of the song “Soul Saver”. As with all of the bands that I feature here on Flashback Friday, I encourage you to dig into the archives and check these guys out. Their career was quite short when compared to some of the legends that I’ve written about, but I’m willing to bet if you give them a listen, you’ll find that they were way ahead of their time. I wish I could share a website, a My Space page or any other link that would point you in their direction, but the fact is that these guys are off the grid…long gone. Their music is still floating around out there though, so go on…see if you can find it. Wow! I would have loved to have seen that tour with Clutch and Fu Manchu. Core was an absolutely underated and under appreciated band. Great article! Great Band in a great time. Cool Post. I forgot about these guys. Thanks for the reminder. Yes, they did/do rock!. Eldemur Krimm would be a great band to feature in a future article. Yeah Reg, that was back when Clutch was still touring off the self titled album. Classic! Thank you for the comment yeoldstinkeye, I agree completely...very cool time for music back in the 90's. Bufftbone, Eldemur Krimm has been added to the queue...thank you for the suggestion. Too cool. Thanks for the video.